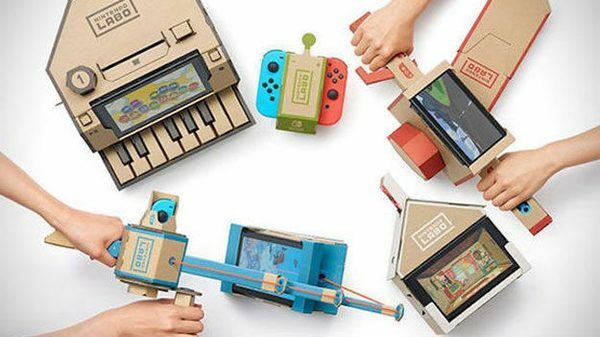 Wondering how Nintendo Labo is doing for Nintendo? Reggie Fils-Aime has revealed some tidbits on not only how well the game is doing, but Nintendo's dedication to the brand. So it's absolutely met our expectations, and to put this in perspective, we see Nintendo Labo as a title and a platform that will sell for extended periods of time, much like we experienced with Brain Age on the DS or Wii Fit on the original Wii. And so for us, what we need to make sure we do is continue to drive engagement with parents and their kids. There's a lot of activity happening this summer as parents are looking for experiences for their kids while they're out of school. Here in the Americas, we have activity going on in the fall in the educational market, showing how Labo can be used for an entry into coding, as well as the maker community and the creation of the Labo toy-cons themselves. And so it is going to be a key product for us, and something that we're going to continue to support, not only through the balance of this year, but well into the future. As much as I like Labo, any time a company talks about how they are going to "continue support" after any length of time, let alone two months after launch, I get worried. The 80+ copies sitting unsold at my store say otherwise, however they might have just shipped more in case it did take off. I know people will say “E3 isn’t the place for Labo”, but I was expecting 1-2 minutes about it during the direct. Even if it was just a “Labo is off to a great start” bit. Nintendo has been very silent on it post launch. I didn’t pick it up, but I’m thinking less people picked it up than Nintendo was hoping. Interesting statement from Peer Schneider a few weeks ago was that Retro did a lot of work for Labo but Nintendo kept their name off the game to prevent a fanboy meltdown.